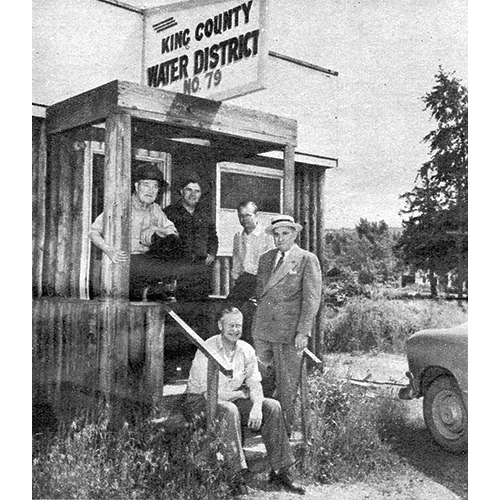 Water District 79 moved into its first office, a tiny building at 18120 68th Avenue NE, in 1953. Seated on the steps is Superintendent Frank Telquist, the district's only paid employee. Standing are two of the district commissioners: Joseph Horrigan, right, and George Millman, second from left. The other two are unidentified. Photo courtesy of Water District 79, now Northshore Utilities.